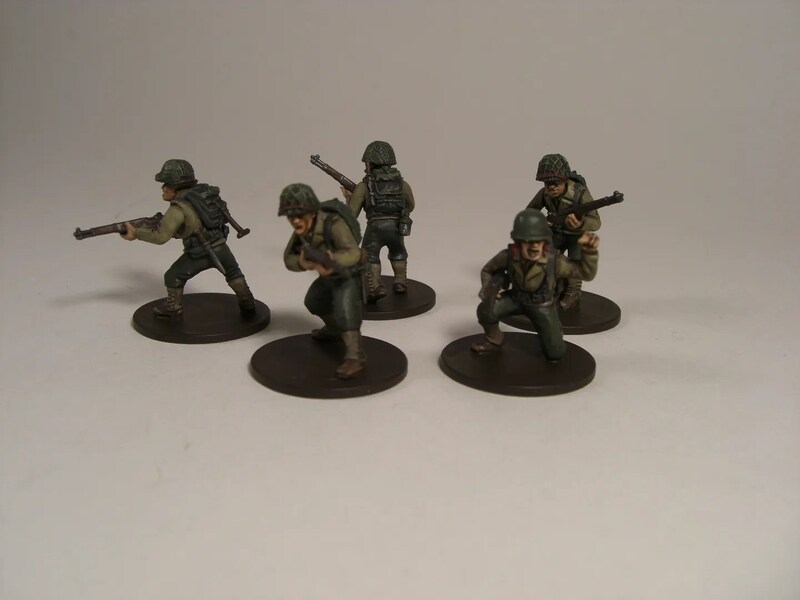 I bought myself some Bolt Action figures – a mix of Germans and US Army. The rules for the game seem really good and I can’t wait to try them out. As a result I’ve built and tried a few paint ideas out. This is sooooo much harder than painting fantasy or sci-fi figures. 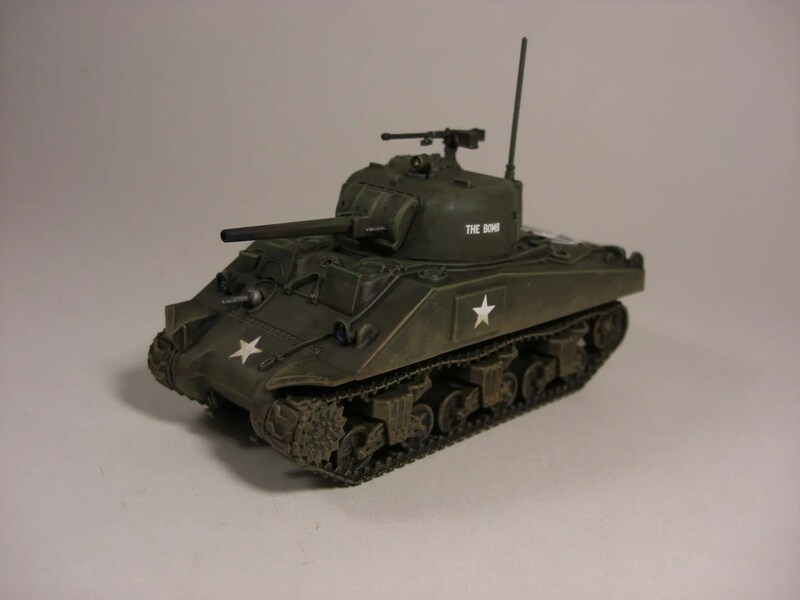 If a fantasy or sci-fi figure has a strange paint scheme – who cares, it’s your own vision, but historical stuff has to look like the real thing. Anyway, I tried and I’m sure I’ll learn loads more in the future. 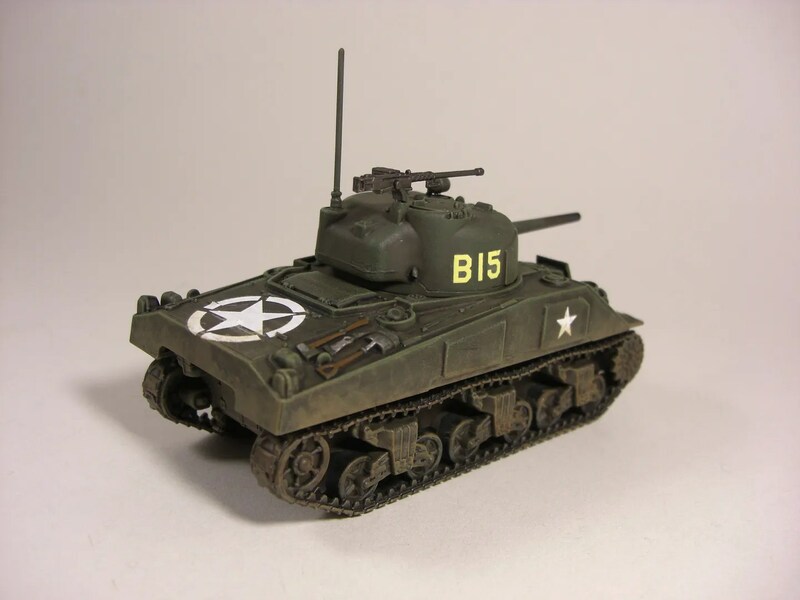 Below are some photos of my first 5 US Infantry troops and an M4 Sherman tank. I have ordered a decent batch of vallejo colours but I did these with my existing GW and Army Painter paints. The tank is about finished but the troops have yet to be based and flocked.